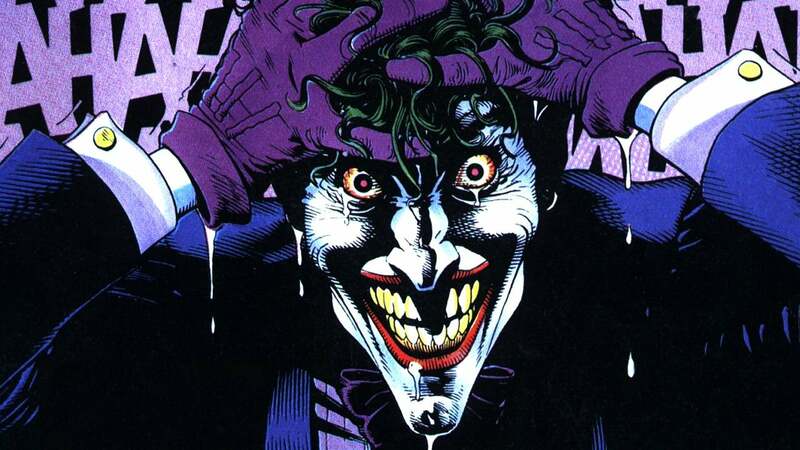 The Killing Joke is a story about Batman and the Joker; it isn’t about anything that you’re ever going to encounter in real life, because Batman and the Joker are not like any human beings that have ever lived. So there’s no important human information being imparted….It was just about a couple of licensed DC characters that didn’t really relate to the real world in any way. But at the end of the day, Watchmen was something to do with power, V for Vendetta was about fascism and anarchy, The Killing Joke was just about Batman and the Joker – and Batman and the Joker are not really symbols of anything that are real, in the real world, they’re just two comic book characters. So Moore’s issue is that Watchmen and V for Vendetta touch on deeper themes and speak to the human condition, whereas The Killing Joke isn’t “about” anything except Batman and the Joker. I’m not sure I agree with that. I think TKJ raises some interesting and provocative questions about madness and depravity, grappling with the senselessness of the world, and that old saying whereby those who fight monsters risk becoming monsters themselves. But The Killing Joke‘s profundity or lack thereof is a topic for another time. What struck me about Moore’s comments is the implication that a work’s quality depends on it being “about” something deeper than its ostensible, immediate subject matter. Maybe TKJ is “just” a Batman and Joker story, but it’s a superb Batman and Joker story, and one that’s had a lasting impact on the characters. Isn’t it enough that for what it is, it’s one of the best? I bring this up here on the blog because I think it bears on how we evaluate works of scholarly history. Some monographs are “about” more than what their Library of Congress sub-headings would indicate. Take Ron Eller’s excellent book Uneven Ground: Appalachia Since 1945, for example. As its subtitle indicates, it’s partly a regional history of the postwar era. But it’s also a critique of the ways we think about progress and development. We tend to associate these ideals with economic growth. We assume that “development” itself is an intrinsic good. We trust that it’s a remedy for poverty. We don’t stop to consider whether poverty might be rooted in structures that benefit some people rather than others, whether the remedies we propose will reinforce these structures, or whether the end goal of “development” is even desirable for the targets of our good intentions. We don’t question our assumptions about what “progress” means. Eller’s work has implications that are relevant to much more than Appalachian history. It’s applicable to much of the recent past beyond Appalachia or America, and raises important questions for the present and future, too. Stephen King has said that when you’re writing a novel, story comes before theme. You tell the story first, and then later you can go back and figure out what the implications are and whether you need to tease them out more. I suspect something along those lines is true for most historians whose projects take on big thematic implications. You start out with an interest in a particular topic, you investigate it, and only then do you figure out what the broader implications are. I’m still trying to work through whether my current project will have implications for anything besides the American Revolution or the early frontier. Maybe it will, maybe it won’t. For now, at least, I’ll be satisfied if I just end up saying something worthwhile about the topic at hand.